First a personal disclaimer: I really dislike vending machines. I travel a lot, in and out of facilities every week. Vending machines never have anything I eat when I want to eat it. They are filled with sugary and salty snacks and sugary beverages; occasionally, with the one or two healthy options of a bag of trail mix or a Nature Valley Oats ‘n Honey Granola Bar. I mainly drink water and coffee, the vending coffee selection is usually limited to a Starbucks high in sugar. I’m not a food snob but I do care what I put in my body. I think a lot of us do. Hospital campuses are big places. Employees are busy. Patient family members are tired and in need of nourishment to remain focused and engaged. Cafés, food carts, and dining rooms are in limited areas of the hospital often not open 24 hours. Vending machines are the normal solution. Vending is a low-cost alternative to labor intensive and expensive retail food real estate. It provides food and beverage options across a large real estate footprint. 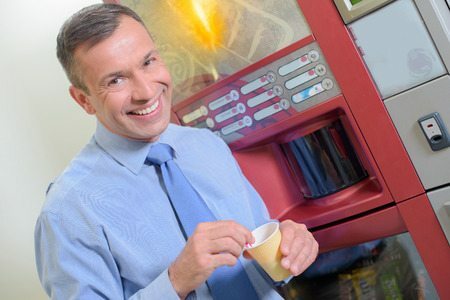 Vending also provides an economic solution for non-peak dining periods when staffing a café, food cart, or dining room would not break-even. When designed and managed properly a Vending Program can supply solid revenue. Bottled beverage vending, when done by the bottler, is done well. They routinely adapt the products, shelf location, and pricing to match consumer trends. However, the product is limited to the products carried by that bottler. To truly meet the consumer needs, organizations should consider a blend of bottler and a self-managed machines which can be stocked with niche products; including cold brewed coffee, kombucha, teas, and other trending beverages. Snack machines need a major overhaul. Product selection should change frequently and be representative of changing consumer choices. The focus should be on niche brands, healthy products, variety in choices, and substantive nutrition. Did you know? More than 50 percent of all eating occasions by Americans on a daily basis are considered snacking. And with nearly all Americans (94% according to Mintel) snacking at least once per day, it’s no wonder that snacking is currently the greatest growth driver in the Consumer Package Goods industry. A primary reason for vending is to provide food and beverage options at time periods that are not supported by retail food outlets. Most organizations provide only snack and beverage vending options. A well-designed vending platform should have solutions for fresh food, including hot meals for staff and patient visitors when staffed dining options are not available. Vending is not perceived as a solution to dining challenges by organizations. Rather it is an opportunity to earn a little income with minimal effort. It is a non-complex management decision: contract with a vending company to fill, clean, and pay commission. Very tidy. Building a consumer-centric vending solution that solves dining challenges requires in investment in resources and time but can provide a nice profit margin. People need food. People like food. Snacking is growing and vending can be a solution to keeping staff happier, patient family members comfortable, and a growing revenue stream. With the right cold brewed coffee, I might even part ways with a couple of dollars.